Depending on the thickness of the key, about 5 keys or less. 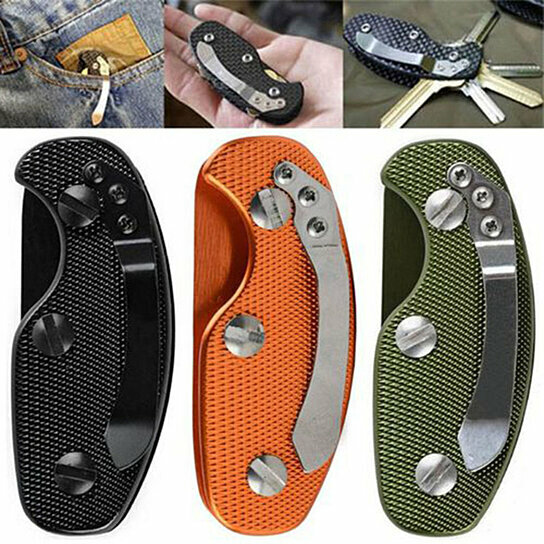 With a stainless steel clip, you can clip it to your pocket without losing the key. Eliminate any critical clanging, hide jagged teeth while revealing the smooth back of the key for easy access. Aluminium alloy material, super strong, can withstand anything you throw. Note: The key is not included.